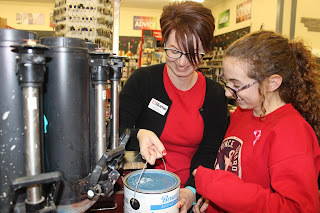 Grade nine students participated in "Take your Kid to Work Day" on Wednesday November 2, On this day, students are required to visit their parents' workplace or an area of employment that interests them. This is a great opportunity to experience a normal day in the work industry, and get a feel for what their future job may be like. It also helps them realize what their parents lives are like outside of the house, and become more aware of their everyday responsibilities. Abby Keenan and her mother Jennifer in the school cafeteria. Isabella Hallihan spent the day at Home Hardware, a local business, learning many useful skills for the job, such as mixing paint. 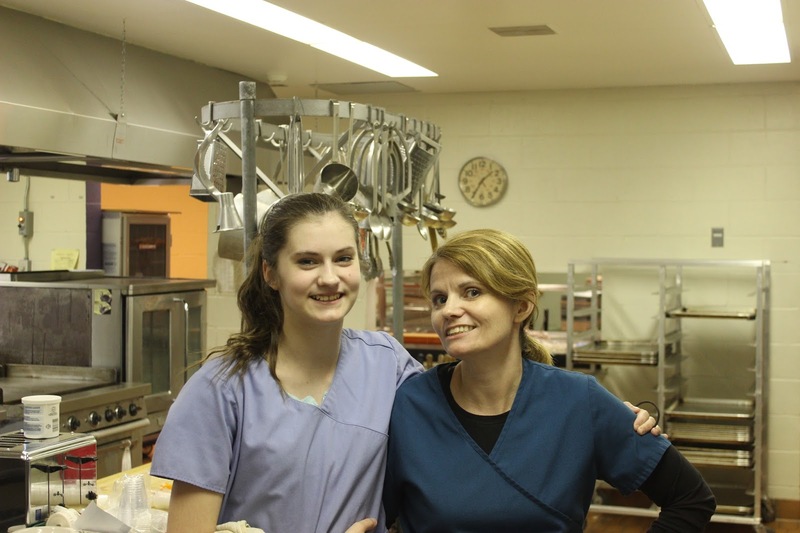 Abby Keenan worked alongside her mother here at the school cafeteria.